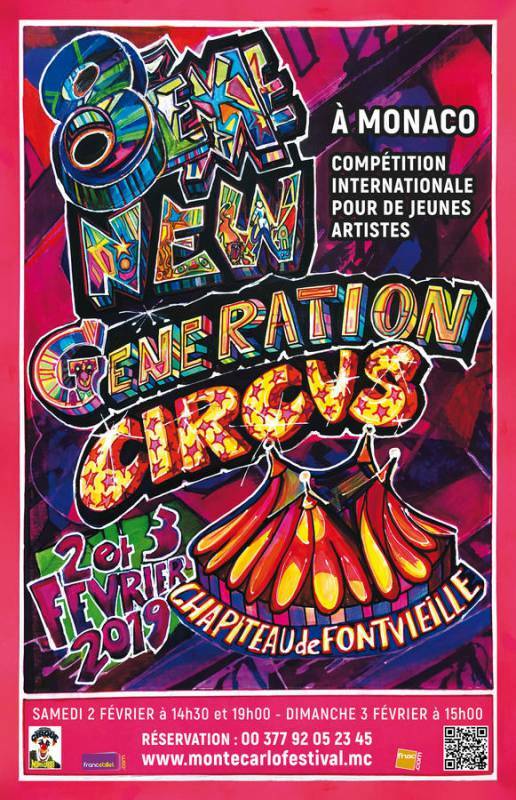 The 8th Festival New Generation, the Circus competition for young Artists will take place on 2nd and 3rd February 2019. You can book your tickets online, by phone or at our box office. Opening hours of our box office at the Fontvieille Big Top: every day 10am-1pm and 2pm-8pm.